Is the Origin of Life Part of the Evolution Discussion? Whenever the subject of evolution comes up, you can usually find a lot of fuzziness in the arguments. As I and many others have noted before, the word "evolution" is itself a very slippery term, that can be used much like Silly Putty—shaped and molded to fit the interlocutor's need. Because of this, I usually like to avoid the term for serious dialogue and instead label the discussion as the fairly precise neo-Darwinian synthesis (which is a mouthful!) or the even more precise blind-watchmaker hypothesis. This latter term points specifically to Richard Dawkins' model outlined in his book The Blind Watchmaker. Here's the thing, Lenny: if you don't even know what evolution is, what business do you have arguing against it? You're confusing your own concepts! Macroevolution would be change at or above the species level. You're talking about abiogenesis, which is a separate theory from the theory of evolution. 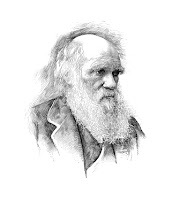 In one sense, the objector is right – Charles Darwin's On the Origin of Species doesn't address the creation of life from non-living material. He specifically focuses on the variations of species we see today from a common ancestor. However, in the public sphere and even within scientific circles, I think this objection is disingenuous. There are two primary reasons for this: 1) those supporting evolutionary theory lump abiogenesis into their discussions and 2) descent with modification can't get started until life exists. Whether my conjecture is right that evolution is the only explanation for life in the universe, there is no doubt that it is the explanation for life on this planet. Evolution is a fact, and it is among the more secure facts known to science. But it had to get started somehow. Natural selection cannot work its wonders until certain minimal conditions are in place, of which the most important is an accurate system of replication — DNA, or something that works like DNA. The frequently-quoted declaration of Theodosius Dobzhansky (1973) that "Nothing in biology makes sense except in the light of evolution" accurately reflects the central, unifying role of evolution in the science of biology. As such, evolution provides the scientific framework that explains both the history of life and the continuing change in the populations of organisms in response to environmental challenges and other factors. Again, lumping the history of life with its divergence doesn't clarify the issue. Lastly, we have the esteemed National Academy of Sciences, who in their book The Search for Life's Origins: Progress and Future Directions in Planetary Biology and Chemical Evolution (1990) include a chapter entitled "The Evidence for Biological Evolution." The chapter holds a description of abiogenesis and leads straight into simple to complex transitions of life. They then devote another chapter to the dismissal of any creationist perspectives. It seems the National Academy of Sciences sees no problem in blurring the line between abiogenesis and evolutionary progression. Therefore, I think it's fair to include both in the discussion. Again, if I'm trying to discuss it the way the proponents of the model do, then they certainly bring the origin of life into the debate. That makes it fair game. Next time, I'll address more fully the second point that descent with modification can't get started until life exists.